WE know Labour’s candidates won in Hampstead and Kilburn, and Holborn and St Pancras – but what happened to other faces who have been part of north London’s political tale over the years, as they spread out across the country in search of a place at the House of Commons. Who? Leader of Camden Conservatives. Labour councillors were in fits of delight at the Camden count when news came filtering through from Northern Ireland that Claire-Louise’s adventure in West Tyrone had finished with a deposit-losing 169 votes. It is a Sinn Fein safe seat and you could’ve called the result as easily as Labour’s hold of Holborn and St Pancras, so CLL knew what was coming when she signed up. Finishing short of the Cannabis Is Safer Than Alcohol candidate, nevertheless, will be the subject of much teasing when she returns to the Town Hall. Their jabs may drown out her explanation that she was just trying to spread a little democracy over the Irish Sea, a mission which funnily enough may actually count in her favour should she re-appear on the candidates list ahead of 2015.
Who? Former leader of Islington Council. Stood? Hornsey and Wood Green. Given the way the tide was turning in Haringey, it is surprising that Catherine West did not have a bigger battle winning the initial selection here. Not because she was not a well-acquitted candidate, more that you’d have thought there would have been a longer queue to take on Lynne Featherstone in a seat the incumbent Lib Dem had jeopardised with her licking loyalty to the coalition government. Hornsey and Wood Green, with its left-leaning electorate, had lost its pothole-sorting good constituency MP to a union with the Conservatives. Up to her neck in coalition politics, Labour struck, flooding the constituency with more than 1,000 activists on polling day. Catherine has so far expertly balanced the different wings of the party, but with a steely edge that enabled her to kickstart a left-swinging programme when head of Islington, which was fast to get the living wage to workers and began building council homes. With the Lib Dems severely scorched, she could be settling in for many years to come. Here’s another dutiful explorer from the Camden Conservative ranks putting his name to an unwinnable seat up north. It all helps fill the CV. The key is to not fill it up too much with noble help-giving quests like this. The Islington Council factory was meant, in Labour minds, to have provided a few production line Commons-ready candidates behind Catherine West. Certainly, Jess Asato has been tipped as one to watch for some time. In Chloe Smith, the Conservative forever reminded of her shambolic Newsnight appearance, there was an obvious target and Jess eventually left her role as councillor in St George’s to concentrate on the task. This, some will remember, took a little time as initially she tried to combine the two tasks, providing fertile ground for mocking Lib Dems. I saw her once during the campaign, at the Channel 4 studios, and she seemed buzzing with energy despite the extra demand (a welcome extra demand) of pramming a recently born baby around the campaign trail. I expected to see her in the winner’s circle on Friday. But sources closer to the Norwich North campaign worry that residents there may have been happy with her as a candidate, but not Labour’s national offer. Families could see what Labour were against, but not, it seems, what they were offering, and accordingly were slow to commit to canvassers a hard pledge to vote for them. It is gut-wrenching to have lost. But I would like to thank everyone who put their faith in me & we pledge to continue to fight for the NHS. Who? Former leader of Camden Conservative (now UKIP). Piers Wauchope managed an 11 percent swing in his favour in the other Thanet seat (i.e. not the Thanest seat Nigel Farage didn’t win). Since departing Camden Town Hall and the Conservatives, he has been resolutely plugging away on the UKIP cause – you may remember the BBC documentary where he was seen being given all the dud jobs. There is a tale in Kent that if it had been Piers who had stood in Thanet South instead of Farage, the party might actually have done better, as the leader’s popularity seemed to wane rather than increase during the campaign. Piers had actually challenged Nigel (whether simply to give the leader some extra legitimacy, it’s not known) for the Thanet South. With his barrister patter, he came across as a more serious, respectable voice as people began to bore of Farage’s beery schtick. Who? 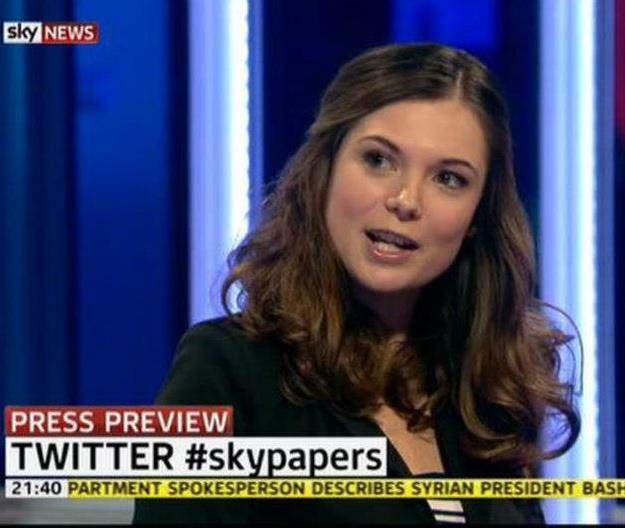 Former Hampstead School student behind pupil protest at Iraq War. Maybe Southampton Itchen wasn’t quite ready for Labour digi-experiment. A week before the polls you might have been mistaken for thinking, Rowenna Davis, a TV-ready journalist who was among the polished band of younger candidates ready to storm in behind Miliband, had already secured victory, such was the glow in a full page profile piece in the Guardian. It explained how Rowenna’s campaign was solidly defending an important seat for the election numbers through the internet and social media. And yet for the first since 1987, the seat is, as of Friday morning, in Conservative hands, the precarious three-digit majority left by John Denham overturned. There are a few lines in the papers this weekend which say if the election had been decided by Facebook likes, Twitter retweets and Periscope hearts, then Labour would have romped away with it all. This is the idea being that trending online masked what was really going on in marginal constituencies. The Tory who blocked Rowenna, as the Guardian piece pointed out, had a duff website. That won’t bother him as he packs his bags for Westminster. There was an awkward question for Chris Philp when he lost Hampstead and Kilburn by just 42 votes: will you stand here again? To say yes, was to show that the seat was still there for the taking in everyone’s heads and this fatigueless candidate was ready to spend five years picking up the wee half-century of votes to win. To say no, was to risk everyone saying, well, he knows the Tories will never win here now. The risk of re-standing in H&K for an ambitious climber like Chris was in the end too much. He handed over the reins, and up the safe bet selection in Croydon South. Local Tories still respect his efforts here five years ago, the sheer determination which almost willed him past Glenda Jackson. They also respect how he bounced back from the ultimate near miss. Seeing him book his place in the House of Commons in south London, therefore, was toasted by his old friends in the constituency, where he still owns a house. He will be one to watch as the parliament goes on. Another product of the Islington candidate factory: Lucy Rigby left the council just two years after boroughwide elections to find fame and political fortune in Lincoln. With UKIP’s influence spreading there, the predictions had the Conservative vote split and Lucy heading for victory. The bookmakers had this down as a Labour gain, but on a night when nearly every constituency plot went wrong for Labour, she was left leaving her count looking distraught. It must be one of the hardest things to be told repeatedly that you are going to win, only to have it all whooshed away in 24 hours. I am so sorry to everyone who put their trust & support in me & @LincolnLabour that I didn’t get us over the line. Who? Unison convenor in Camden. 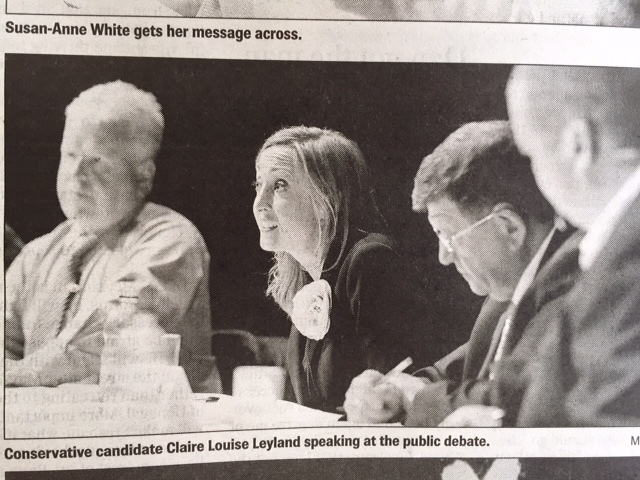 Hugo has been in the pages of the local press for years as one of Camden’s Unison convenors. Standing for TUSC in east London, he came in sixth. His party did not have a candidate on the ballot paper in Camden. Who? Lawyer from Kentish Town. Stood? Finchley and Golders Green. One of the curious elements of Hampstead and Kilburn in 2010 was Tamsin Omond’s independent candidacy. She was a bit of a name back then due to her eye-catching environmental protests. It was just a bit difficult to fathom why she was targeting Glenda Jackson, who she seemed to agree with on a lot of things compared with a lot of Labour MPs who she didn’t. Bea Campbell was standing for the Greens, another candidate who Tamsin could get on with. In the end, she didn’t really steal any votes of either and lost her deposit. More recently, she has been among the Greens – she was at the October Gallery when Natalie Bennett launched her local campaign – but there was no luck in East Ham now part of team, rather than an individual. Despite a bit of a publicity boost in the Standard just in time for the polls last week, she was standing in a well-cemented Labour safe seat, where Stephen Timms was sitting on a 34k majority by the end of counting. It’s inevitable that after a campaign which doesn’t win in a constituency where victory was not out of the question, that people look at the choice of candidate. In Hampstead and Kilburn, many local Conservatives bristle at the idea that they picked the wrong guy. This may be because they believed Simon Marcus campaigned his heart out and got a hard deal when the Standard called him ‘visibly tired’, or alternatively they think back to the open primary back in January 2013 and wonder who else the critics think the party should have been chosen from the final shortlist. The next likely choice on the night was Alex Burghart, who didn’t do a bad job in the West Hampstead synagogue that night. A tough gig for him, Alex ended up with perhaps the biggest hospital pass in London, taking on Labour Jeremy Corbyn in Islington North. You don’t need me to tell you how that turned out. It seems a long time ago now but Barack Obama rushed to power with a hollerback call of ‘yes we can’. Well, you know what two guys from Kentish Town came up with when they were called in to help devise a campaign against Boris Johnson for Ken Livingstone? Wait for it… ‘Yes, we Ken’. One of the guilty parties for the shameless toot was Tom Copley, now a London Assembly member. The other that could be convicted for cheese crimes is Joshua Fenton-Glynn, a former secretary of Kentish Town Labour branch. Fast forward to 2015 and JFG was looking to pull back Calder Valley for Labour – the seat was lost in 2010 – on Thursday. He got the vote up, but a 6k Conservative majority proved too much of an ask, with both Labour and the Tories both picking up the votes bled by the free-falling Lib Dems. Islington again, although Anna Turley wasn’t a councillor, more a well known campaigner. It was being from Islington that became a millstone for her, though, as she became cast as an outsider by deselected council candidates. She has been through a rough, lonely time up in Redcar where councillors have resigned outside her office, ripping up a giant membership card for the press. She stood her ground and on Thursday it must have seemed all worthwhile when she took the seat back from the Lib Dems. It’s no just ex-Labour Islington councillors who want to be MPs. Marisha Ray followed up her run in the Croydon North by-election with rosette-wearing in Chipping Barnet. The willing is admirable, but the result predictable. Lucy Frazer was looking at Chris Philp’s ‘safie’ in Croydon at selection time but when she didn’t get through there, picked up a very decent consolation prize in Cambridgeshire… eventually. There were threats of recount after she initially won the candidacy and standard grumbling that the local choice had lost out to a Londoner. As it happened, the fuss was resolved and Heidi Allen, the selection contest runner up to Lucy was picked up in Andrew Lansley’s old seat and both were elected on Thursday. Who? Former Islington campaign worker. A good pal of Tulip Siddiq, the two were recently wearing garlands around their necks with Dawn Butler and Ed Miliband at the Shree temple in Willesden Lane just before the election. The vibes were good for Uma then. A few weeks earlier, Ashcroft’s snapshot polling said a Tory lead had been turned into a four point Labour advantage. It’s another seat which would have changed hands on a Labour glory night but ended up following the trend seen in so many seats. Shy Tories? Maybe. It’s one of the misses a fair few Labour people in north London are feeling choked about. Taking some time out frm twitter & politics. Looking fwd to time with my incredible parents to whom I owe so much, my family & friends. Thanks, great posting that helps us keep informed about our Borough.